Home Blog Zimbra Open Source Or Network Edition: Which Way to Go? 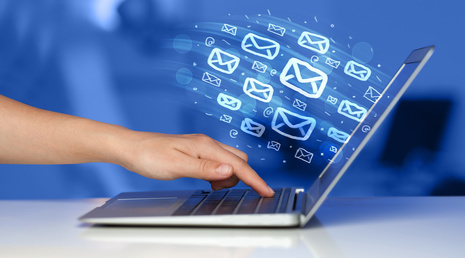 Email solutions play a pivotal role in the success of any business, no matter whether small or big. Millions of emails are sent every second containing all sorts of information. The crux, your email solution needs to be robust, secure, and scalable to meet growing business requirements. Zimbra email or Zimbra Collaboration Suite, is one such email solution, as it has all the features to support your business and comes in two main versions- Zimbra Open Source and Zimbra Network edition. Continuing the discussion, the blog post discusses key features of both editions to help you to select the ideal email solution. Take a look. Zimbra Open Source Or Network Edition? Both, open source and network edition equip users with a smart mailbox that can be easily integrated with email, tasks, address book, calendar and enterprise level applications. IT administrators have the freedom to install either version, open source or network, on a private cloud as virtual appliance or on a public cloud. By leveraging the power of Zimbra Collaboration Suite, your business users can access their mailboxes through smartphones and other computing devices by using the active sync feature in network edition or IMAP/POP and CalDAV in open source. Even though the Network edition requires a license, the total cost of ownership is much less than legacy platforms. Whether open source edition or the Zimbra network edition, they both provide a rich web-based interface, dedicated search tab, and customizable filters. If you opt for Zimbra email to run your mail operations, privacy is never an issue as all sent and received messages are encrypted through the OpenPGP Zimlet and there is additional two-factor authentication for web client. Business users can become more productive through ZCS, as both versions allow seamless document management, and instant sharing of files and folders through the mailbox. Irrespective of the version of ZCS your business is running, your business users can always integrate external applications such as Facebook and Twitter along with enterprise level applications such as Oracle and SAP. Zimbra Collaboration suite features a simpler than ever, AJAX-powered administration console that empowers IT administrators to manage tasks such as quotas and storage policies through Class-of-Service (Cos). If you are already running a different mail client for, ZCS has a number of unique features that enable your IT administrators to quickly migrate from Microsoft Exchange or Domino to any of the two ZCS versions. Outlook connector also allows your business users to continue working on the Microsoft Outlook interface powered by enhanced features of Zimbra Network Edition. There are a few exclusive features available with the network edition, such as real-time mailbox backup and restore, whereas it’s a manual script job in Zimbra open source mail server. ZCS, gives you an exceptional offline emailing experience through Zimbra desktop, which is offered free of cost to be used with Windows, Mac and Linux based systems. You can get the most out of ZCS, as it allows you to aggregate leading email providers such as Gmail, Yahoo, Hotmail, AOL, and other POP/IMAP accounts. Though there are certain Zimbra Open source limitations, including incompatibility with desktop clients such as Outlook and Apple Mail, they are covered in the network edition. On the flipside, the open source model has a number of advantages, as your business never requires to pay a license fee ever, and there is no limit whatsoever, to the number of mailboxes that can be deployed through the open source edition. ZCS, whether open source or network edition, can be installed on a native hardware or deployed as a software virtual appliance. The network edition can also be delivered as a cloud application instead of an on-premise based application by one of the reputed VMware hosting partners. Zimbra is a favourite email solution for enterprises, thanks to its high-availability, disaster recovery, and backup features. Should you require any help or face any difficulty in accessing or launching the email client, you can always reach out to the dedicated support team, if you have opted for the network edition which is not possible in the case of open source edition. Selecting the right email solution can be confusing, given the dynamics and the growing needs of businesses. Zimbra Collaboration Suite offers a host of features that make for an effective emailing solution, without compromising on any of the vital features and security. Both versions are compatible with leading operating systems and web browsers. If you are looking to deploy and manage Zimbra as your default emailing system, look no further than i2k2 Networks. We offer a complete spectrum of email solutions, including mail server hosting services, installation, maintenance, and troubleshooting. To learn more about our mail solutions, fill out our contact form or call us at +91-120-466 3031.